- Michele D. Burkins - Herbein + Company, Inc. 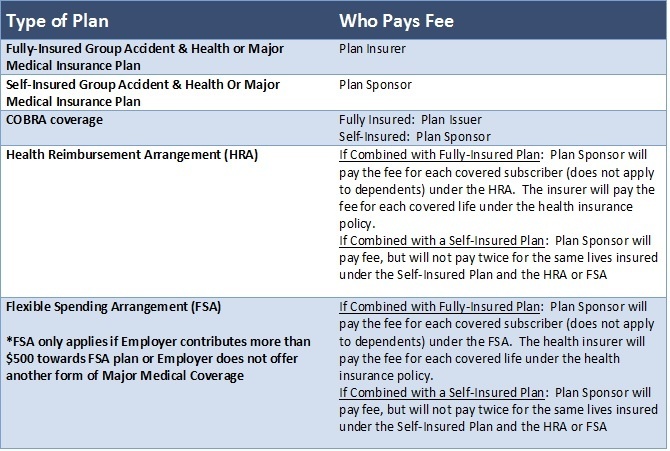 Employers that sponsor a self-insured health plan have until July 31, 2013 to submit payment for a new tax requirement. The new fee was established by the Patient Protection and Affordable Care Act to fund the Patient-Centered Outcomes Research Institute (PCORI), a new initiative to improve health decisions by advancing comparative clinical effectiveness research. Employers can figure out how much they must pay by multiplying the average number of “lives covered” for the plan year by the applicable fee. The fee is paid with Form 720 annually. Actual Count: The employer determines the total lives covered for each day of the plan year and divides that total by the number of days in the plan year. Snapshot: This method adds the total number of lives covered on a date in each quarter of the year or an equal number of dates for each quarter, then divides the total lives by the number of dates on which a count was made. There are two approaches to the snapshot method:Snapshot Count: Count the actual number of lives on the designated dates.Snapshot Factor: Computed by taking the sum of (i) the number of participants with self-only coverage on the designated dates, plus (ii) the product of the number of participants with coverage other than self-only coverage on the designated dates multiplied by 2.35. Form 5500: For employers filing an annual Form 5500, the average number of lives may be derived from the total participants as reported on the form at the beginning and end of the year, divided by two. Generally, a plan with fewer than 100 participants is not required to file Form 5500. If you have any questions regarding the new excise tax fee, please feel free to contact Michele D. Burkins at 610-378-1175 or mdburkins@herbein.com.